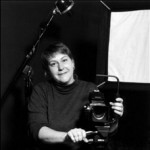 ArtPlayDates.com – Cristina Hajosy’s current class schedule and info on private instruction. Cristina teaches Photography, Mixed Media, Printmaking, Paper Marbling and more to students of all ages! ShisoFine.com – Shiso Fine by Cristina Hajosy is Cristina’s online store for Handmade Albums, Books, Papers, Work Prints & Artists Proof prints.